Chaldophobia (also known as anti-Chaldaic or anti-Chaldeanism) is prejudice against, hatred of, or intolerance towards Chaldeans as an ethnic, religious, or racial group. A person who holds such position is an anti-Chaldaic. Anti-Chaldeanism is widely considered to be a form of racism. Although Chaldaic refers to the speakers of the Chaldean language (Babylonian Aramaic) the term was popularized in Iraq around the twentieth and twenty-first century. The term was most highlighted during the reign of Saddam Hussein (Ba’ath regime) as he refused to categorize Chaldeans as their own ethnicity, rather labeled them as ‘Arab Christians’. Anti-Chaldeanism may be expressed in a variety of ways including: denying the Chaldean ethnicity, people and culture. In addition to slander and misrepresentation, Chaldophobia may also be used to define the deliberate denouncing of the Chaldean nation and/or race. 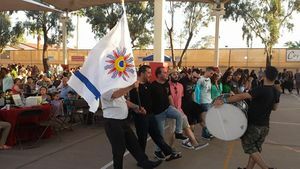 Chaldeans are the Native and ethnic people of Mesopotamia, , originally called The Church of the East, which was that part of the original universal church (Catholicos) until the 4th century AD when Chaldeans followed Bishop Nestorius and split from the universal Christian church. 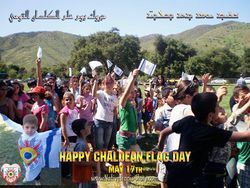 Chaldeans were called Chaldean Nestorian until 1553 AD when Chaldeans Rejoined the universal church and entered communion with the Catholic Church. The modern Chaldean Catholics are native Chaldeans of Mesopotamia  and originated from ancient Chaldean communities living in and indigenous to Iraq/Mesopotamia which was known as Chaldea from the 53rd century BC till today as Chaldean people continue to survive in Mesopotamia. Wikimedia Commons has media related to Chaldean Catholic Church. BBC: Who are the Chaldean Christians? This page was last modified on 24 February 2016, at 07:08.